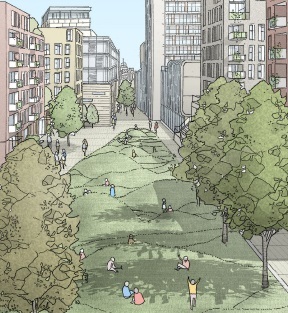 Hot on the heels of Greenwich Council’s rejection of Tesco’s plans for a 22 storey tower behind their Woolwich superstore we see the release of a council commissioned draft ‘Thomas Street masterplan’ from Allies and Morrison. Click here to view the entire 56mb document. 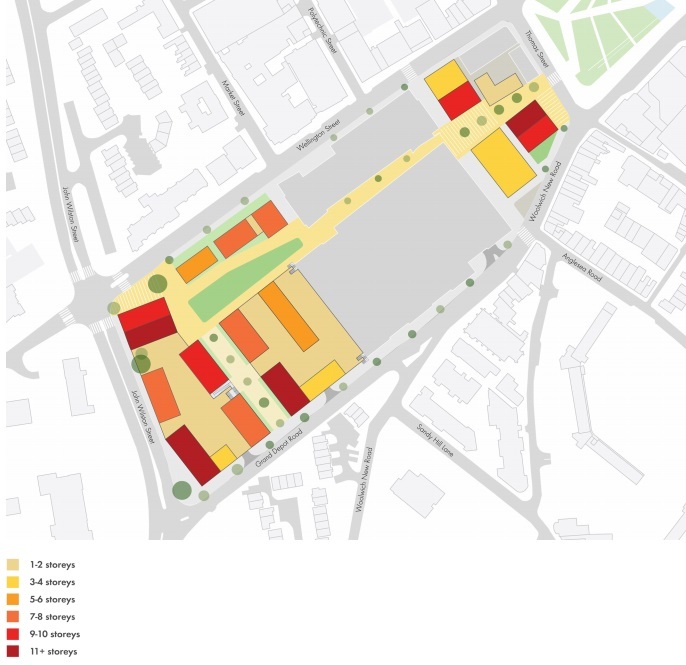 The area covered goes beyond the area refused planning and covers an area of council housing lining Wellington Street as well as area in front of the supermarket, which comprises a patch of grass (which already has outline planning for a tower) and the area of shops around Wetherspoons. 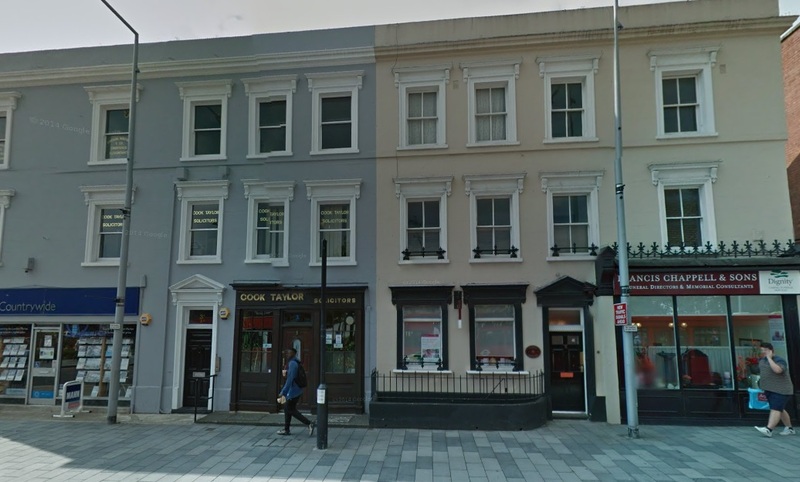 The good news is that the attractive, locally-listed row of buildings at 1-5 Thomas Street is deemed an asset worth keeping. It’s a small reminder of how many buildings in the area used to look before numerous mass redevelopment schemes demolished much of the town centre. These buildings show how a big transformation can be achieved with some modest yet faithful facade improvements and high quality public realm and paving, allowing the buildings to take centre stage with less street clutter to detract from the environment. Though the opportunity to attach street lights to the buildings wasn’t taken recently leaving ungainly poles. The Wetherspoons building is also likely to remain under these draft plans. The small row of buildings on Wellington Street by Wetherspoons is though in line for the chop. Not a great loss. Low rise and not providing needed housing. The plans see a 4-5 level residential building facing the street, which rises in height away from the road. Preliminary Spenhill plans were awarded outline planning permission, and are shown to the left. 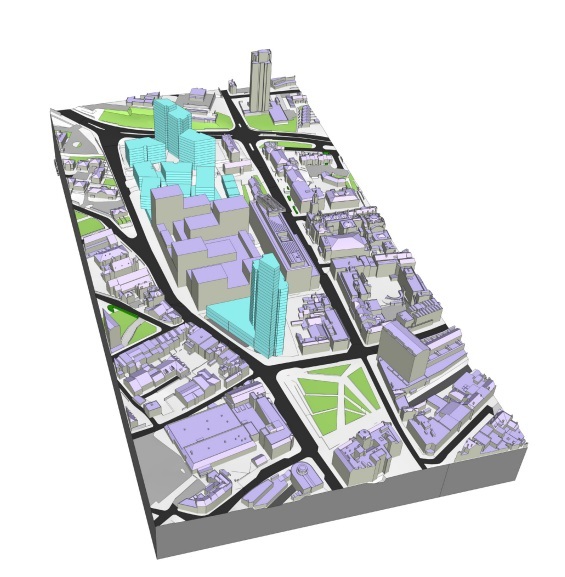 The greater density of recently refused plans are clear to see when comparing to this model, but with outline planning already given for a 16 storey tower a precedent has been set for height in the area. 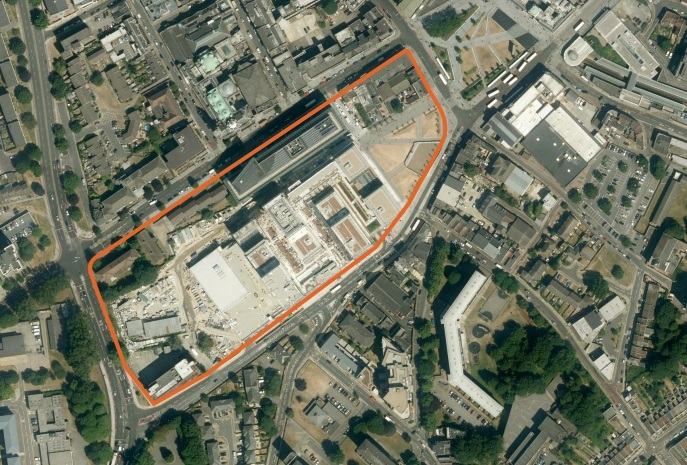 The masterplan also envisages the demolition of homes and flats in the Ogilby buildings at the top of Wellington Street, replaced with 87 flats. The road junction here is seen as not very pedestrian friendly. The plan advocates the removal of guardrails and street clutter, as happened on General Gordon Square to great effect. It’s bizarre that Greenwich Council still installs so much across the borough at a cost of thousands unlike many authorities who have removed much of it. Greenwich always install the cheapest possible too. The junction by Waitrose in Greenwich is a prime example. 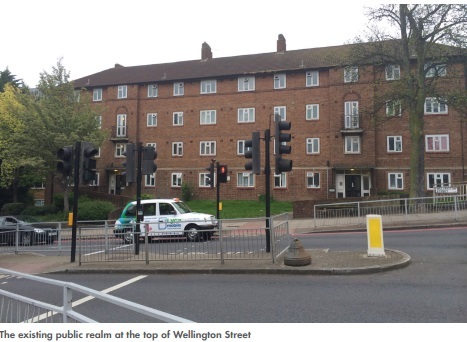 The extensive railings detract from the street scene and cause hassle for pedestrians forced to take indirect walks. I was there last week. Pedestrians, including me, were walking in the road to cross during heavy traffic as the barriers prevented easy crossing. Nearby council managed walls and masonry at the entrance to the council estate were continuing to fall apart. The top of a wall had fallen off, and not fixed since I first saw it 6 months ago. But why fix that and maintain public spaces when you can spend a few grand making life frustrating for pedestrians? Greenwich council departments have some very odd priorities, and Councillors aren’t scrutinising them anywhere near enough. Back to the masterplan, and a ‘pocket park’ is proposed to compensate for the loss of greenery in front of the supermarket. The new park would be located to the south west of the site, at the end of Love Lane. Love Lane will be the main route through the site. On the subject of Greenwich Council’s bizarre management of public space, I recently noticed they’ve stuck up two street signs at the entrance to Love Lane in the area to the front of Tesco. One against the wall is enough. It’s a barely used lane in a pedestrian area. The other sign is pretty incongruous and more unneeded clutter. It’s not a big deal in the grand scheme of things but another example of poor understanding of how to do street design. The recent refusal of Spenhill’s plans have caused a bump in the road. I’d expect a re-worked scheme cutting a few storeys off the 20 storey tower. With a bigger site area a comprehensive re-working of future Spenhill phases would make more sense rather than some small alterations to that flawed scheme. Elsewhere in Woolwich the large area of land above and around the Woolwich DLR station, now vacant for six years after the station opened, is a scandalous waste of land in a time of massive housing shortages. It’s a prime example of why plans to charge developers a levy a set time after purchasing land, and after securing planning permission, is essential. Developers would soon build, or sell on to someone who would, if punitive fines for land banking were adopted. Building on that site would also help link the old and new areas of Woolwich alongside the Spray Street redevelopment which includes the indoor market. Connecting the two areas of Woolwich, with more people moving into the town centre, would increase the viability of retail sites and local pubs. As it is, stores like Marks and Spencer continue to leave. A 99p store is to take over soon which sums up its decline. Greenwich council continues to permit inappropriate and wasteful out-of-town retail at Charlton in its recently adopted masterplan, instead of retaining successful industry and developing much needed housing plans for that area. One masterplan seems conflicted with another. 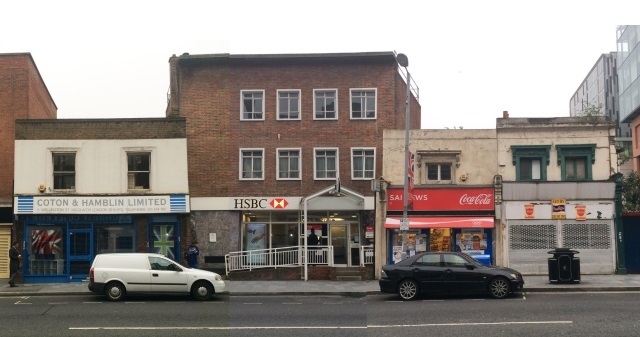 I’d be really sorry if we lose that patch of gren frontage to Tescos. While the supermarket isn’t to everyone’s taste architecturally (I’ve seen much worse), the approach adds to the sense of space of our amazing new Town Square. I don’t see any aesthetic advantage to closing it on. I’d be really sorry if we lose that patch of green frontage to Tescos. While the supermarket isn’t to everyone’s taste architecturally (I’ve seen much worse), the approach adds to the sense of space of our amazing new Town Square. I don’t see any aesthetic advantage to closing it on.